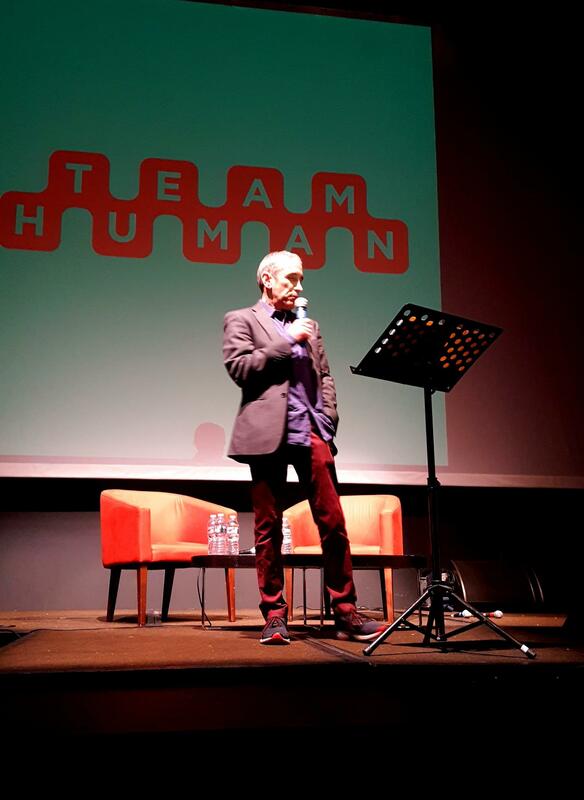 Join Douglas Rushkoff's Team Human Podcast for its first live event in New York, with special guest Dr. Mark Filippi. Autonomous technologies, runaway markets and weaponized media seem to have overturned civil society, paralyzing our ability to think constructively, connect meaningfully, or act purposefully. Being human is a team sport, and Douglas Rushkoff's Team Human Podcast and WFMU radio show has been the voice of human intervention in the machine. Come find out what, if anything, makes people different than machines, and how we can fight back against the stultifying effects of digital capitalism run amok. This evening of conversation will focus on the non-generic quality of time, the way each week of the lunar cycle favors a particular neurotransmitter, and how to leverage this knowledge for better productivity, emotional stability, and social harmony. Come experience, live, how time is not generic. This is the first New York Team Human event and has been produced in partnership with Evolver and Alchemist’s Kitchen. Dr. Mark Filippi has practiced behavioral chiropractic for the last 25 years, and worked as frequently published clinical researcher and post-graduate instructor. His research has contributed significant new findings to the fields of somatics, memetics, and nonlinear dynamics. Most famous for identifying “the four domains” or human perspectives on the world, Filippi has dedicated himself to uncovering the biological roots of our collective social nervous system. In his practice, writings, and recordings, he helps people relieve their social stress, achieve coherence, and become better acquainted with their inner selves. Dr. Mark Filippi has practiced behavioral chiropractic for the last 20 years, and worked as frequently published clinical researcher and post-graduate instructor. His research has contributed significant new findings to the fields of somatics, memetics, and nonlinear dynamics. Most famous for identifying “the four domains” or human perspectives on the world, Filippi has dedicated himself to uncovering the biological roots of our collective social nervous system. In his practice, writings, and recordings, he helps bring people relieve their social stress, achieve coherence, and become better acquainted with their inner selves.